Going to Sapa by bus, why not? Coming to Sapa by bus is not a strange thing with many people. For foreigners who go to Sapa first, most of them choose train instead of bus. However, choosing bus as transportation to Sapa is also an enjoyable experience. Firstly, a lot of tourism agencies organize some tour Sapa 2 days with cheap price if traveling by bus for tourists who do not have much money but want to explore Sapa, you should not think, cheap price tours and traveling by bus are not interesting. Choosing tour Sapa 2 days 1 night by bus from Hanoi, you will be able to admire the landscape more deeply, take a photo of yellow terraced fields on the both side, the image of ethnic minorites on the way. Surely, visitors will love these things very much. Some visitors confuse that, if traveling to Sapa by bus, they will feel tired. The answer is no. Now, we have the highway Noi Bai- Lao Cai to serve the tourism. Commonly, if visitors choose bus as transportation, the tourist agencies will recommend you to take tour Sapa 2 days by bus, which includes coming to Sapa in the morning, exploring Sapa in about one and half day and returning to Hanoi in the tomorrow afternoon. By that way, visitors cannot feel very tired. Secondly, One thing that makes visitors still confuse is the place where they will rest after coming to Sapa. Normally, some people will choose hotel by registering tour Sapa 1 night in hotel, the others who like exploring the daily life of Sapa people will take the option tour Sapa 1 night in homestay or both chose to stay 1 night in hotel and 1 night in home stay Actually, each place has its owns convenience. If staying at hotel, visitors will be provided with lots of amenities when the ethnic minorities’s homes cannot respond. Nevertheless, if staying at homestay, visitors can enjoy famous local dishes, take part in the life of local people and local games such as campfire, dancing and singing. Last but not least, a number of visitors wonder that if choosing tour Sapa 2 days by bus, there is enough time for them to explore all famous Sapa’s destinations. Do not worry beacause as Viet Unique Tour mentioned, in the afternoon we can reach to Sapa, then the tour guide will lead you to Cat Cat- a villge where black H’mong is living, a scenic spot in the valley at the foot of the majestic Fansipan. Then visitors can walk to Cat Cat waterfall, Cat Cat hydroelectric station which was built in the 1960s by the French. In day two, visitors will have a chance to start walking from Y Linh Ho, along to Muong Hoa valley to Lao Chai village to explore deely the ethnic minority’s culture as well as admire the Hoang Lien Son mountain range from afar. 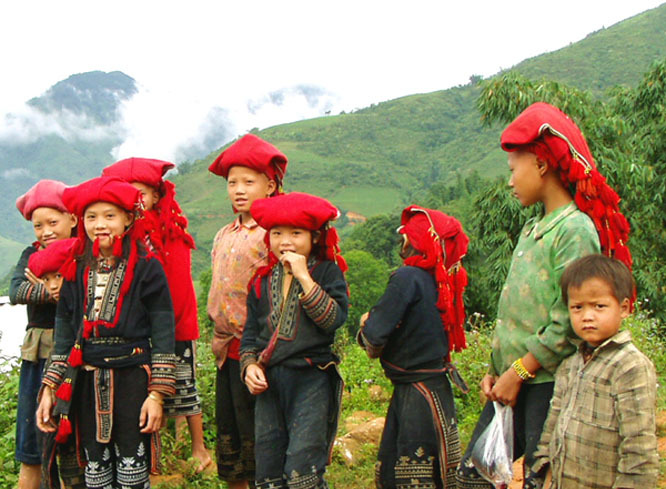 Moreover, visitors visit Ta Van village, where the Dao people live and maybe buy some craft items as souvenirs for your families, or your friends.